This event will kick off National Citizen Science Day Activities at NYBG on Saturday, April 13. Amateur naturalists have been indispensable to scientific research throughout history in the study and documentation of Earth’s biodiversity. The creation of The New York Botanical Garden—and the programs of study that followed—helped lay the foundation of the field of ecology in America, and now connect legions of people to plants through public participation, incorporating a unique humanities approach. Moderated by Dr. Brian M. Boom, Vice President for Conservation Strategy at NYBG, this symposium will bring together five speakers to discuss various approaches to environmental scholarship. Their conversation will explore the democratization of science—using exciting and easily accessible new technologies—to engage an increasingly diverse force of citizen scientists locally, regionally, and globally in advancing knowledge and environmental stewardship, and encouraging all to think critically about the importance and urgency of conservation action. Support for the Humanities Institute at The New York Botanical Garden is provided by The Andrew W. Mellon Foundation. Please enter the Garden through the Mosholu Entrance, 2950 Southern Boulevard, Bronx, NY 10458, and check in at Ross Hall. Sara Tjossem is a historian of science, focused on the history of ecology and its intersections with social and environmental movements. At Columbia University she is Associate Director of Curriculum in the Program on Environmental Science and Policy at the School of International and Public Affairs, and Co-Director of the Center for Science and Society Research Cluster on Environmental Sciences and Humanities. Her research is on the interplay of science and society, particularly the development of environmental policy and the concept of sustainability. 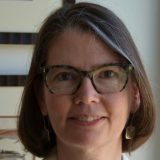 She has written two books on the development and organization of scientific cooperation: Fostering Internationalism through Marine Science (2017) and The Journey to PICES: Scientific Cooperation in the North Pacific (2005). Her current project examines the formation and activities of HELSUS, the Helsinki Institute of Sustainability Science. Abstract Citizen science, very broadly, involves non-professionals in the scientific process. Educational institutions of all types have proven eager to build networks to foster and benefit from citizen enthusiasm to effect change. At Columbia University and elsewhere, opportunities for collaboration have expanded greatly through both institutional commitment to new learning modes and broader technological advancements. Capstone projects and workshops are two such opportunities to connect multiple communities through real-world issues to effect positive change. Some recent environmental examples include data collection on New York’s trash and building social enterprises for smallholder farmers. 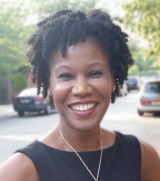 Majora Carter combines her corporate consulting practice focused on Talent-Retention, and her first-hand experience pioneering sustainable economic development in one of America’s most storied low-status communities: the South Bronx. Her focus harnesses the capital flows resulting from widespread re-urbanization among all ages, races, and income levels. She helps to entrench wealth building opportunities across demographics to produce long term fiscal benefits to all sectors of government, private real estate and urban developments. Low-status communities experience economic stagnation despite billions of dollars in government and philanthropic supports, only to see the success stories created from those efforts, move away. Talent Retention is achieved in many ways and is never 100% successful, but starting with urban horticulture and forestry is a good baseline. How does the built environment influence migration, and what does it mean for cities? Kerissa Battle is a research ecologist and social entrepreneur whose work is focused on social-ecological connectivity, network resilience, community science, and plant-pollinator conservation. 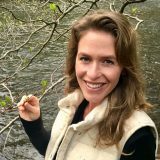 She founded and currently manages the New York Phenology Project and works as a strategic advisor for organizations seeking to build capacity in the fields of conservation and education. The New York Phenology Project (NYPP), is a modern citizen science collaborative network that engages citizen scientists across New York State in the creation of a long-term phenological dataset for Northeast plants and pollinators. The discovery of a historic network collecting phenology data from over 100 locations throughout New York State from 1826–1872, paired with the contemporary NYPP data has enabled a compelling historic-modern analysis to evaluate changes in the phenology of common Northeast plant species. This talk will highlight the process of creating the NYPP network as well as the collaborative effort to digitize and standardize the historic dataset. This story illustrates how organized long-term citizen science monitoring efforts are valuable for ecological discovery, and why policy should support the continuation and expansion of public participation in science research. Carrie Seltzer facilitates partnerships to expand the reach and use of iNaturalist for nature exploration and conservation. She works with external collaborators around the world, such as the international iNaturalist Network. 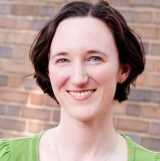 Her prior work includes open data policy as a Science & Technology Policy Fellow with the American Association for the Advancement of Science (AAAS) at the National Science Foundation and close collaboration with iNaturalist while working on citizen science at the National Geographic Society. During her Ph.D. research she studied plant-animal interactions in Tanzania (you can find an interpretive dance of it if you Google her with “Dance Your Ph.D.”). Carrie is based in Washington, DC. iNaturalist is a global social network for nature lovers that turns your biodiversity photos into big data, helping you learn more about what you see. iNaturalist incorporates artificial intelligence to suggest identifications based on visual similarity, which are confirmed or corrected by people like you. The biodiversity data generated by the community is shared widely and cited in over 200 publications to expand our knowledge of species ranges, phenology, invasive species, and more. 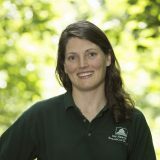 Jessica A. Schuler, Director of the Thain Family Forest at The New York Botanical Garden, is responsible for the management of the 50-acre, old-growth urban Forest, including ecological restoration and the development of education and research programs. She teaches about urban forest restoration, invasive species, and native plants. Jessica earned a B.S. in plant science with distinction in research from Cornell University, and is an ISA-certified arborist and Certified Ecological Restoration Practitioner with the Society for Ecological Restoration. Jessica is an advocate for native plant conservation and ecological restoration. The creation of The New York Botanical Garden galvanized natural history research and education that contributed to the development of the field ecology or the study of living organisms with each other, and with the non-living environment. With more than 50% of the world’s population living in urban areas, the stakes are at their highest to engage urban dwellers in nature and environmental stewardship. Citizen science is a perfect way to “see, know, and save” nature. This talk will showcase the Citizen Science Program that NYBG has developed to monitor plants, wildlife, water quality, and digitize historical collections to teach ecology and to take an active role in conservation practice in New York City.